The PEV 1100 is the first member of a comprehensive family of PCI Express based products targeting the most popular form factors in the industry (VME64x, PXI and VXI, among others). The PEV 1100 has been designed in order to enhance existing VME64x data acquisition and control systems, removing the computing node from the VME64x crate, while preserving most of the valuable I/O modules. This innovative approach allows to port specific real-time environments to work with widely available high-end multi-core servers running standard operating systems such as Windows or Linux. This solution minimizes the obsolescence risks inherent to expensive embedded processors driven by proprietary operating systems. With the PEV 1100, the I/O resources are physically separated from the computing module, but still belong to its addressing domain. 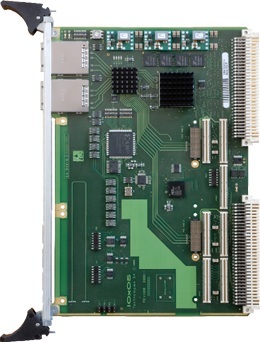 For this purpose, the PEV 1100 implements SR-IOV and MR-IOV capabilities (following PCI-SIG latest specification), in order to support Single or Multi Root I/O Virtualization through its built-in PCI Express external cabling connections.